Amy Heckerling and Alicia Silverstone reunite for Vamps: Can it live up to Clueless? Amy Heckerling and Alicia Silverstone Reunite for Vamps. Can It Live Up to Clueless? Film fanatics may yearn for the rare Paul Thomas Anderson, Terrence Malick, or Whit Stillman movie. 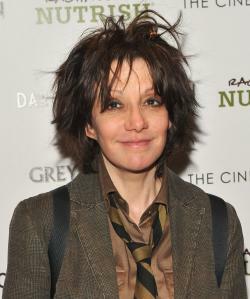 But my director-to-pine-for has long been Amy Heckerling. Though she’s dabbled in silly fare, making European Vacation under the National Lampoon banner, and directing both Look Who’s Talking and Look Who’s Talking Too, Heckerling is justly famous for helming two of the best movies every made about young women on the verge of adulthood: Fast Times at Ridgemont High and Jane Austen-with-a-computerized-closet masterpiece Clueless. Both movies treated young adult way stations—like loss of virginity, or even getting dressed in the morning—as if they were seismic events. Heckerling recognized that in frivolity laid the road to maturity for her characters, and her movies. Vampires have been benign as lambs in Twilight, power-mad in True Blood, and stricken by true love in The Vampire Diaries. But they’ve rarely been as silly as they look to be in Vamps, whether it’s Justin Kirk complaining about the Time Warner cable guys who just show up without regard for how sunlight will affect the vampires who need cable, too; Silverstone complaining about having coffin hair; or Dan Stevens, fresh off playing a noble in Downton Abbey, as a clueless Van Helsing in denial about the identity of his new girlfriend. In other hands, I might be skeptical about the light tone—who is going to finally come along and restore vampires to their true scariness? But Heckerling’s always been brilliant at recognizing that girls, dead or alive, just want to have fun— and that the best way to grow can be to learn from everything that comes out the universal silliness of youth.